This was taken at Porsche of Livermore. I believe the lucky owner picked it up last night. Black with the standard wheels looks terrific. Wow! This car looks great in every color! Gunmetal wheels work well with black. +1, I want one ! Is it just me or does basalt black look like a somewhat dirty version of jet black? If you're going to go black.. Go committed to the shiny stuff no? I wish I could say thanks but it's not my car! I have the same opinion. 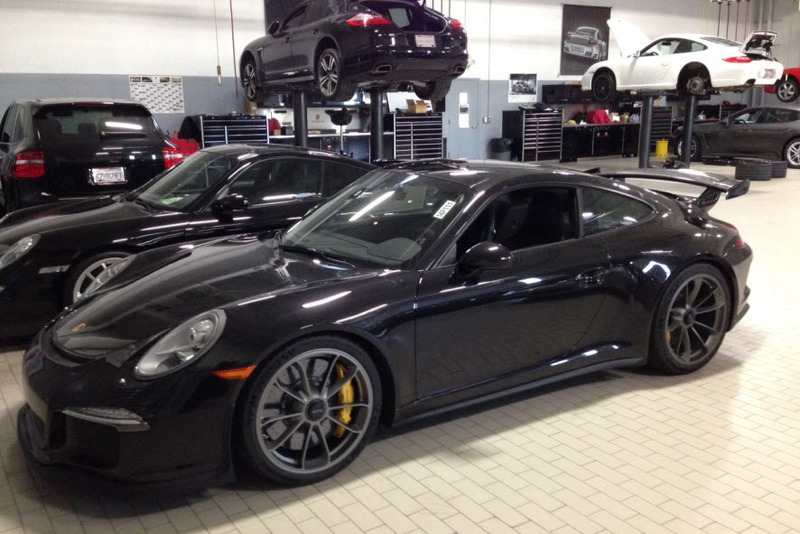 Love black but haven't been overwhelmed by basalt black on a Porsche. It kinda looks like it is already dirty. Although it does look great on a clear sunny day when the sun hits it. Basalt hides scratches and swirls better than standard black. Basalt looks better in my opinion as well; not dirty at all. +1, My 997TT was basalt black. I would not do basalt black again. I love basalt black, but I am biased. I find it much more interesting color than jet black. Easier to maintain too.